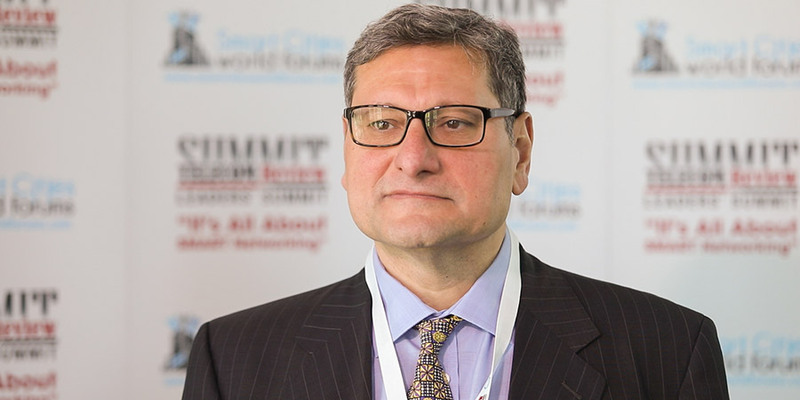 TELUS CTO, Dr. Ibrahim Gedeon has identified what he believes are the three main obstacles preventing the acceleration of 5G deployment across the ICT industry. 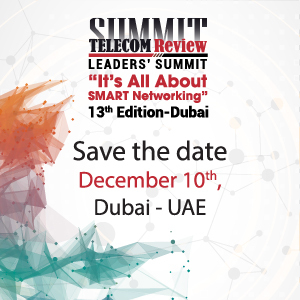 The CTO of the Canadian operator gave an exclusive interview to Telecom Review at the Telecom Review Leaders' Summit in Dubai. In a compelling interview, Dr. Gedeon called on the industry to 'get its act together' with regards to 5G standardization - and also highlighted the success of its partnership with Chinese vendor Huawei on the creation of a 5G Living Lab in Vancouver. TELUS is leading the way towards 5G development and deployment in Canada, with many industry analysts predicting that the first commercial deployment of the next-generation technology could take place in the land of the Maple Leaf. However, TELUS CTO has outlined three key challenges currently facing the development of 5G, and said it's time the major players in the telecommunications industry got their act together. Gedeon said, "I've been very vocal on 5G challenges beyond demoing, and I think there are three main challenges we're currently presented with. What's become clear is that 3.5GHZ is emerging as the mobility band. However, in different parts of the world there are different stages of standardization. So if we talk about 5G being global, I think it's very critical that we get our act together as an industry and normalize that band, which is of course the 3.5GHZ band." The CTO of the Canadian telecommunications colossus then switched his focus on to regulatory factors, and raised the thorny subject of spectrum allocation by governments, raising the question of competitiveness, before claiming that he believes that in time operators should not have to purchase spectrum. He added, "In relation to the actual dynamics of governments everybody says you need at least a 50GHZ slice to be able to offer these really cool 5G services. So I think it's not as rampant as we think, not everyone is appropriating the right level of spectrum for competitiveness. In Canada, we're the only telco to sponsor dynamic spectrum sharing with the government, because I think eventually telcos should not buy spectrum, it should be on usage, and it should be throttled when there's fair play because that would force the government to appropriate more spectrum." One of the great opportunities presented by 5G according to Gedeon is its capabilities for network slicing. However, he stressed the importance of not regressing on dual cores, and was also critical of some in the industry for being too focused and narrow-minded in relation to the development of autonomous vehicles and self-driving technology. Gedeon stated, "I think one of the worst things we could do for 5G is regress on dual cores and regress on leveraging the legacy with the new. I think some of the coolest things about 5G is not just in latency, it's also in network slicing. There are a number of fantastic areas currently being explored like in the development of autonomous cars, but is it a distraction or is it a proof of concept? 5G is going to be revolutionary and it's going to enable all segments of industry. Uber wants to stop paying drivers to change the model, and the Federal Express wants to send drones, so everybody is looking at touchless. However, I think there are other aspects that we're not allowing to flourish and grow and we're not investing in the infrastructure because of this." The TELUS CTO then outlined its successful partnership with Chinese firm Huawei. He expressed his delight at how the relationship has developed and said that when dealing with nascent technologies, TELUS have always maintained that it must be utilized for 'transformational capabilities'. He added, "I think what's very critical is to concede that people can't build things by themselves anymore. So we've decided to partner with Huawei on the RAN and 5G side of things. We're delighted with how things are developing, and they're a great partner. Our mantra at TELUS is that every time a new technology emerges we're very clear and explicit that it has to be used for its transformational capabilities. 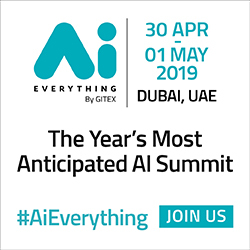 Taking 5G as one of the biggest steps for convergence for the way we redefine how we connect and communicate with each other, it was critical to pick the correct network partner, and with Huawei we've done that." Gedeon then highlighted the success of its innovative 5G Living Lab which it created in tandem with Huawei. The 5G Living Lab was launched in Vancouver, and has been hailed as a huge success since its inception. The CTO claimed it created an ecosystem which facilitated 'innovation'. He said, "When we partnered with Huawei we decided that the only way to have a metric and the only way to manifest that partnership beyond money flowing back both ways was to create a Living Lab, where we would demo and try things, basically create an environment that allowed us to innovate. Globalization is critical, so how can I make sure that an application in Dubai or China is used in Canada without spending vast amounts of money, and that is fundamentally what the Living Lab is about." However, according to Gedeon the most important component in the open Living Lab is that it allows third parties and start-ups to explore and innovate by using their network. Gedeon concluded by saying, "The Living Lab is not all about reducing cost and concentrating on speeds. We still have the fastest world record, but that's not what brings us pride. What brings us pride is that we're able to allow start-ups to use our network, or bring 30-40 companies from China to demo in our Living Labs. These companies can look at these really good ideas in the Living Lab, and ask how fast can I take that and deploy it? The ability to that is for us what illustrates the richness and benefits of an open lab and Living Lab concept."